All my life I’ve been listening to Christian music. But Tori Kelly has been one of the few ‘mainstream’ artists that has recently changed my whole perception of what type of music God can and often does use to draw people closer to himself. And that goes for anyone really- God can use anyone He wants to bring people to Himself- and that might be a hard thing to get your head around, but it’s true. Anyway, enough philosophical deep thinking for this post- now it’s time to dive into Tori’s latest single, alright? 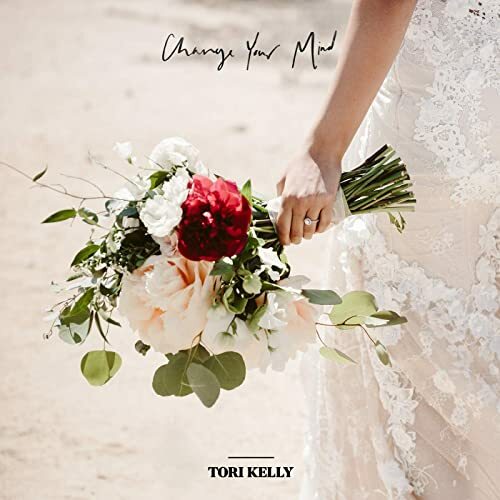 While you can check out what Tori is all about in my review of her gospel album Hiding Place; last week Tori unveiled an all-new pop melody in “Change Your Mind”. Catchy and boppy, yet also introspective and impacting; this mid tempo ballad checks all of the right boxes for a successful single, but is there any weight and substance to the tune? Right from the outset, Tori doesn’t hold anything back here, as she launches into a defence of her love, reiterating that ‘…he grew on me like a rose, the sweetest I’ve ever known, I swear that he got a hold on me, and now I can’t let him go…’. Possibly referring to her husband whom she married in May 2018, or maybe alluding to another relationship she has known or been aware of (or maybe a fictitious relationship all together! ), we are met with a confronting melody that examines the culture of rebellion, and how far do we disobey our parents even when we think it’s right. Tori belts out numerous times in this track that she (or the persona) will change the mind of her father, so that he can see reason and see the things she sees about the man she loves, and sometimes situations like that do happen; but the thing to remember here is that life isn’t always like that. And Tori’s song indirectly gets us thinking- is the love we feel for someone else really love, or just obsession and/or infatuation? Because if it really us love, everyone else around us won’t need convincing, as they’ll be convinced already! Food for thought, isn’t it? Tori Kelly surprised us all in a good way with her pop album Unbreakable Smile in 2015, and even more with Hiding Place last year. Now with “Change Your Mind” going back to her pop roots, it’s anybody’s guess as to what future albums will sound like. But with such a rich lyrical meaning here, I reckon this track isn’t to be missed! So…what are you waiting for? Even if you aren’t a fan of Tori (yet! ), check out the song, and let us know your thoughts. And well done, Tori- I’m more than interested to hear what God has in store for you next!